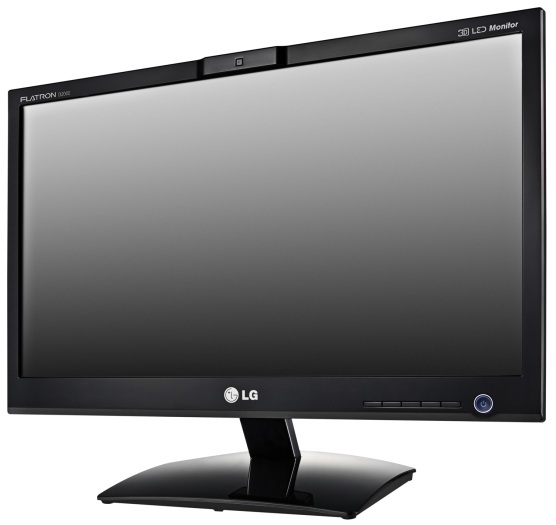 SEOUL, July, 13, 2011 – LG Electronics (LG) today unveiled the world’s first glassesfree monitor utilizing eye-tracking technology to maintain an optimal 3D image from a range of viewing angles. The 20-inch D2000 (Korean model: DX2000) monitor was developed as a fully functional entertainment display capable of reproducing games, movies and images in all their realistic glory. The D2000’s 3D effect comes courtesy of glasses-free parallax barrier 3D technology, and the application of the world’s first eye-tracking feature to the monitor. The combination of parallax barrier and eye-tracking in a single unit promises to open up new horizons for glasses-free 3D products. Existing glasses-free 3D technologies generally require viewers to stay within a tightly restricted angle and distance to perceive the 3D images. However, the D2000 has done much to resolve this issue, allowing viewer much freer movement and more comfortable viewing. Eye tracking in the D2000 works via a special camera sensor attached to the monitor which detects changes in the user’s eye position in real-time. With this information, the monitor calculates the angle and position of the viewer and adjusts the displayed image for the optimal 3D effect. In addition to playing back existing 3D content, the D2000 has a highly refined 2D to 3D conversion feature which adds a new dimension to existing movies and game playing. The D2000, available in Korea this month, will be introduced in other markets around the world in the latter part of 2011.